Eli found CrossFit in 2009 and has become healthier and happier than he ever has in life. Shortly after starting, he received his L1 Certificate in 2009 and later on completed the L2 coaches prep course and the mobility course. After growing up a big kid weighing over 330 lbs. he had never found any gym routine or nutrition plan that stuck or helped him get in shape. In early 2009 after running his first (and also last) marathon, Eli was approached by one of his coworkers who said they were opening a CrossFit gym and wanted him to try it out. The first few months were rough, not being able to do a pull up or even a push up, but with caring friends and dedicated coaches it was easy to stick with it and get him in better shape than he has ever been in his life and do things he never thought at all possible. 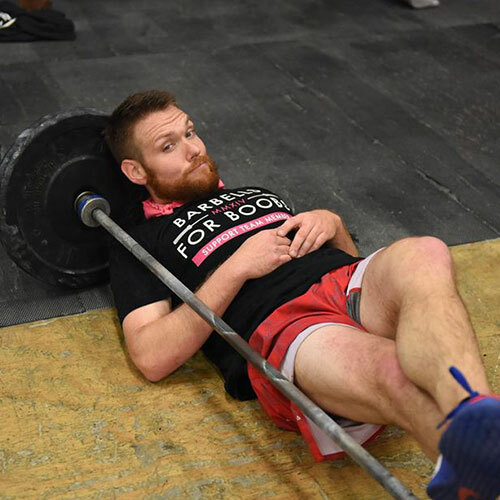 Eli’s passion for CrossFit is in the motivation that you get from the community around you. Being able to help someone achieve potential that they didn’t imagine possible is why he coaches. Eli has been a coach now for 4 years and is excited for the move to Danville to help its members lead a more healthy and fit lifestyle.